Following my last letter inviting you to add your voice to the discussions we have had with residents, shopkeepers, parents, schools children and other stakeholders over the last few months. DIY Schools Richard Atkins has spoken to over 200 residents and 500 parents, many of whom live in the immediate vicinity and come up with reasonable and rational solutions to the traffic related problems you told us about to make New Park Road safer, greener and cleaner. The next step involves trialling the proposed designs for three months to gather feedback and data on the impacts before a formal review of the changes and decision on whether to retain or amend the scheme. 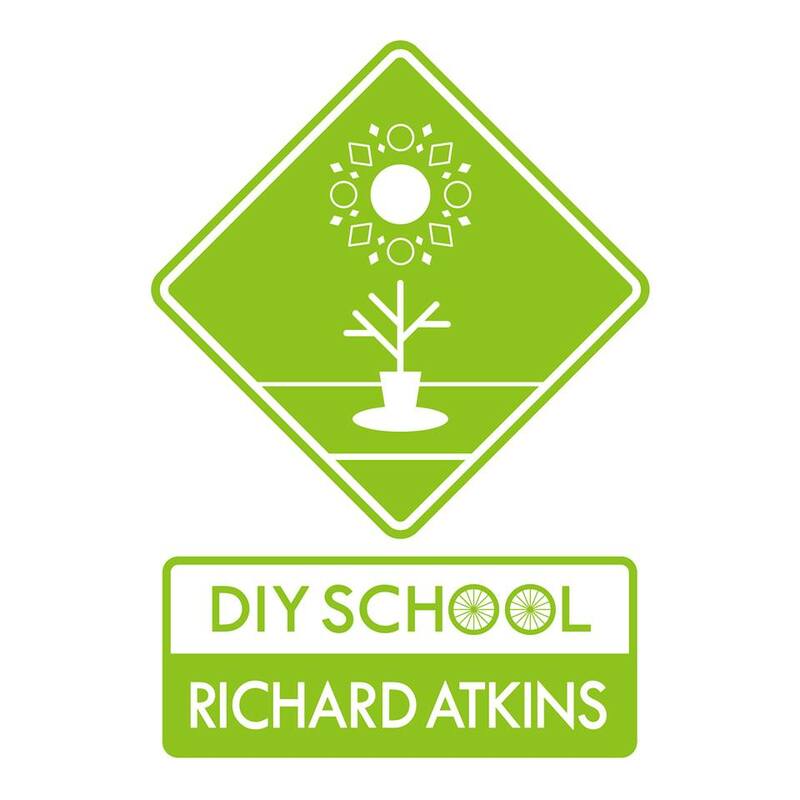 If this is the first you’ve heard about DIY Schools Richard Atkins we can assure you it’s not too late to have your input. DIY Schools is an exciting Sustrans project in partnership with Lambeth Council to develop and trial low cost interventions outside schools to make walking and cycling to school safer and neighbourhoods more liveable. We work with community members to identify traffic related problems and together develop possible solutions to trial. These ideas are then trialled – as part of the consultation to see if we can make streets better for people. DIY Schools Richard Atkins came about due to parent, councillor and residents’ complaints about lack of safe crossing points and high number of accidents (12 in the last 3 years) outside the school and volume of traffic using New Park Road as a cut-through. Funding from Courtenay House S106 provided an opportunity for the Lambeth Transport Team to commission DIY Schools a 7-month Sustrans project to co-design a low cost intervention (10-20k) to reduce speed and volume of traffic along New Park Road without passing on traffic problems on to surrounding residential streets. – Creation of a mini parklet (with artificial turf) between the entrance to the school car park and Kintyre Close. This will prevent cars cutting through but allow access either side of the closure and a protected crossing for pedestrians and cyclists. – Painting of a temporary crossing point at the top of Kingswood Road will refocus the street environment around people and encourage drivers to slow down. We will invite you to vote on the designs for this over the next two months. – Shortening the exposed, wide crossing point to the shops across Lyham Road by reducing the width with planters and temporary paint giving space to pedestrians and preventing dangerous parking and loading of vans on the crossing point. – In order to prevent passing on increased traffic to alternative residential streets in the nearby streets, we will also trial a three- way closure, cyclists exempt at the junction of Lyham, Dumbarton and Chale roads. None of these changes will result in any property being inaccessible by cars. For more information on the project please look at our Facebook page here: www.facebook.com/DIYSchoolsRichardAtkins and find contact details below. Would you like to offer a skill or be involved in activities throughout the launch of this scheme? Get in touch as we would be delighted to hear from you. Senior Project Officer, Communities London. This entry was posted in Blog and tagged Kingswood Road, Kintyre Court, Lyham Road, Morrish Road, New Park Road, Sulina Road by Martin Tiedemann. Bookmark the permalink. I’m an avid cyclist and a car owner (yes its possible) , father of 2 kids . WOW ! You are planning so much disruption to the lives of all the local people living not even necessarily “near ” the school ! There MUST be a better way to make crossing the roads safer for Richard Atkins children . Have you looked at other schools? Maybe a Lollipop lady ? or a Zebra Crossing ? Your notice above doesn’t seem to mention the closing of Lyham Road . Your scheme will effect the day to day life of residents massively , you plan to cut Lyham Rd off to Brixton Hill , which will surely mean longer journeys for cars sitting in traffic burning fuel , polluting etc , You plan to turn 5 minute car journeys into 30 minute journeys , I’m confused ? People live here , people actually choose to move here because of transport links to family , school, entertainment etc . It doesn’t seem very democratic to me – I don’t remember voting the in , and your “consultation ” seems to take the view THAT ITS HAPPENING! What about my life , my family , my journeys ? I agree with everything you say SG. I only received the leaflet about these proposed changes dated 9th September through my door a few days ago, (and there was only one leaflet, although there are 2 flats in the building) so I haven’t had time to study all the details, but there are some very obvious flaws to the plans. I personally didn’t vote for this, but even if I had voted for the general concepts that were proposed, it doesn’t mean that any old plan claiming to fulfill them is a good idea. I can’t see why a set of traffic lights and some humps wouldn’t make the crossing outside the school safer to use when the lollipop person isn’t there. A one way system in the smaller roads would also make it safer for cyclists, and although some very dangerous driving occurs occasionally in these roads, which could be stopped using humps, there is also some occasional dangerous cycling taking place. It is claimed that there has been 12 accidents during 3 years in New Park Road, but I have read elsewhere that it is actually 5 years. I would like to know at what time of day these accidents occurred and who they involved, bearing in mind there are 2 pubs in close proximity to the school. How many of them involved children or other pedestrians, bikes or vehicles? Also, how does that compare to similar locations, or the national average? This will affect emergency vehicles, deliveries, rubbish collection etc. Saxby Road will become a cut through, and it isn’t wide enough. There is already enough aggression regularly taking place when cars try to pass each other in Kingswood Road, where I live. This will make it even worse. And what about at night? It is already scary enough walking around here. Empty roads will be even more tempting to criminals..
It’s all very well for Simon to say that there are good transport links, but I have to drive a car in order to do my job. I have no choice, so these plans will end up with me causing more rather than less pollution. I sincerely hope they will be radically changed. I use my bike everyday for most journeys . My children cycle or walk to school . I love the idea of cleaner air etc etc . We use our car when necessary at the weekends , it can make life much easier , and indeed some journeys would be impossible by bike . I enjoy the freedom to make these decisions as a rational fully grown adult . Surely not if I was to head towards Tulse Hill with a car full of equipment ? Or to a venue in Brixton with a guitar amp ? Wouldn’t that be adding to cars sitting in traffic , if all the cars are making journeys to the big roads via big roads? Outside my house , on the block where the closures will be don’t you think there will be at least a few confused drivers angrily doing U turns ? It certainly won’t be stopping any of the trucks from thundering around as they all go to the prison or the carpet warehouse – in fact won’t it be ensuring all these trucks come from the same direction leading to some serious truck on truck action ? Encourage cycling , let children cross the roads safely , use public transport. It doesn’t mean you have to take our rights of way away . Is the issue crossing the road outside a school ? or is it the bigger idea of trying to stop cars existing ? Again , aren’t we talking about a school crossing , at the top of the hill ? Or is this actually about trying to pedestrianise Lambeth ? >>I use my bike everyday for most journeys . My children cycle or walk to school . I love the idea of cleaner air etc etc . That’s good to hear but do you think current conditions are the best they could be? Do you really find cycling in Lambeth safe and pleasant? I’ve personally seen three cyclists knocked off on Lyham Road. It’s not good at the moment and New Park Road is just as bad. I’m assuming you have loads of ideas about how things could be improved with your experience of cycling around with your kids. I see very few kids cycling to school in Lambeth – what do you think could be done to encourage more? Most parents say they won’t let their children walk or cycle to school because the traffic makes it too dangerous. So do I. There are some (usually longer) trips, usually out of London, that would be very difficult by public transport. The problem is that some people are very selfish and don’t just do this and the other side of making life more pleasant for people who live in the area and discouraging others from driving through it is to make the small number of journeys that you and I do make a little less convenient. I think that’s a very worthwhile trade off for the benefits. To encourage other people out of their cars you have to make the conditions for walking and cycling better and, with fixed space, that has to mean making driving harder. The Dutch separate major roads from minor roads almost entirely. Strangely enough by making the minor roads pleasant to walk and cycle on (and the main roads as well) the traffic flows much better as hugely more journeys are done by bike. I think Lambeth’s policy is very clear. It’s shifting the allocation of the roads from space-inefficient, polluting private cars and enabling people to make positive transport choices by making conditions more pleasant. What about the rights to clean air or safe walking or cycling? What about the rights of Lambeth residents living in car free developments who aren’t allowed residents parking where it’s in place (and I know and fully accept the top of Brixton Hill should be a CPZ but that’s a completely separate issue to this)? If less than 40% of Lambeth households own cars and 13% of commutes are by car then surely far more of the space available should be given over to non-motorised traffic? That’s democratic isn’t it? Lyham Road will not be cut off from Brixton Hill – it will still be fully open on foot or by bike. There is no justification for driving a 5 minute journey by car – it would almost certainly be quicker to walk anyway. For any journey of a reasonable length the extra time taken won’t be significant. Brixton has the best public transport links in South London. Across Lambeth 60% of households don’t own a car and only 13% of commutes are made by car or van. All that congestion and pollution that affects everyone is very much down to a small minority. In particular children don’t have access to cars – enabling safe travel by bike gives a huge amount of extra freedom to them and frees parents from the tyranny of continually running them around by car. From New Park Road Brixton town centre is a 20 minute walk or an 8 minute cycle ride and Clapham the same. These changes will mean Lyham Road will become a much quieter and safer route to both of those destinations without the fast, aggressive, rat running traffic that plagues it at present. As I understand it that’s what started the scheme – 12 accidents around the school in 3 years and requests from parents. I don’t have children at the school but I’m in favour because I think there are much wider benefits for people living in the area. This is a terrific idea, well done Brixton Hill cllrs, Sustrans, and the school for developing it. As a local resident I would be so happy if (when!) this happens. Air pollution on New Park Rd is really bad, and the risk to lung and brain development of the school kids is at risk. I would say this alone is a reason to reduce motor traffic, even more than traffic collisions (though obviously that is a big worry too). Am in favour, kind of, but think the consultation process stinks. The first I heard of the whole thing was the day of the last meeting outside the Hand in Hand pub. I had had no notification through my door before this, nor had any of my neighbours. I personally don’t own a car, but I do rely on busses to Peckham every day to my work. My journey already takes half an hour longer because of the cut off roads near Loughborough Junction. My, and many other peoples journeys in busses to work will take longer because of these road closures, and, having had a knee replacement and being older than I like – I can’t walk all the way and can’t carry my computer etc on a bike (and am too wary for a bike, anyway – an accident would probably write my knee off permanently). I mooted the idea of a pelican crossing on New Park Road, and/or wiggles on the pavement for traffic calming but was told by Sustrain that although they thought it was a good idea they couldn’t do this because they have only been given £20,000 by Lambeth (hope I put twenty thousand in there – not good with noughts!) So this is a scheme without proper consultation with residents, and without a proper budget!!! Don’t do things which will radically disrupt people’s lives without proper consultation – or a proper budget! I live on Dumbarton Road and both drive and cycle. I’m strongly in favour of the scheme. I’m more than happy to have slightly longer car journeys if it reduces the amount of traffic speeding down this and adjoining roads. I worry that there is a campaign of misinformation being run by a notoriously eccentric non-resident – http://insidecroydon.com/2015/07/06/morgans-rum-conduct-raises-suspicion-over-20mph-survey/ this is the man who created the weird leaflet that was put through our doors recently. Most of the traffic on the local roads is people cutting through to/from the South Circular. Some of the rather extreme reactions above seem to be ignoring the fact that traffic will be greatly reduced once this is removed and therefore their car journey times are unlikely to be affected even if they have to take a slightly longer route. It should also make journeys on foot and by bike a lot more pleasant. I currently opt to cycle on Brixton Hill rather than Lyham road because while Brixton Hill is bad, there are at least cameras and some sort of enforcement of rules. Whereas Lyham road is currently overwhelmed by speeding drivers using their mobiles. if it wasn’t for the concrete bollards I probably wouldn’t even risk walking down Lyham road with my daughter. These changes can’t come soon enough as far as I’m concerned. I agree that some kind of traffic calming should take place around New Park, Lyham, Dumbarton and Kingswood Rd. All of these roads are used at short cuts and at times have dangerous drivers. However, the closure of roads to cars, seems excessive. The main issue with the current scheme is that it will force drivers to use Saxby close as a cut through. I’m aware that the idea is to encourage drivers to walk or drive, but many drivers will not take this option and will continue to use this as short cut, leading to more congestion on this road and the surrounding streets, in turn creating more pollution. A better option would be to propose a one way system (for some or possibly all of the streets) and a zebra crossing close to the school on New Park Road. Finally, a proper consultation has not taken place on this matter – the first I heard of this was when a neighbour informed me earlier this week. If there have been mail outs about this, they haven’t been sent to all households, or in good time. A one way system won’t stop people using these roads to cut through to/from the South Circular (depending on which way became one way). In fact it would probably cause people to drive faster if not having to deal with oncoming traffic. As far as I can see from the plans, it wouldn’t increase traffic on Saxby Close as it wouldn’t allow anyone to cut through to Brixton Hill, therefore removing most non-local traffic. If I’m missing something here then that suggests the scheme just needs to be widened to include Saxby Close as well. To add to Adrian’s answer – you *can* use one way streets to calm traffic and the Dutch often make residential streets one way. However, the Dutch do this to prevent cut throughs so the effect is the same as the proposed filtering – trying to apply this to the roads in this triangle you would still need to filter traffic at the same point. The reality is that to create a better environment for residents by taking out through traffic there is a slight loss of convenience for those residents.